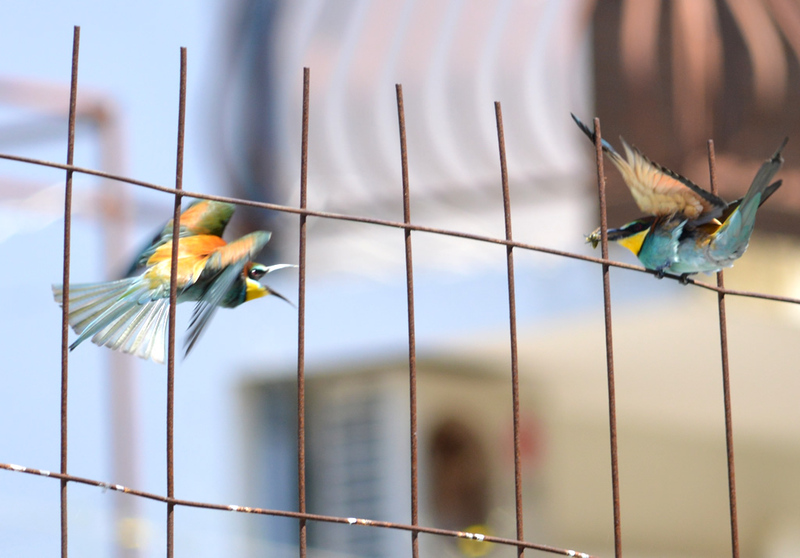 Birdwatching on Hvar: Do Bee-Eaters Eat Bees? 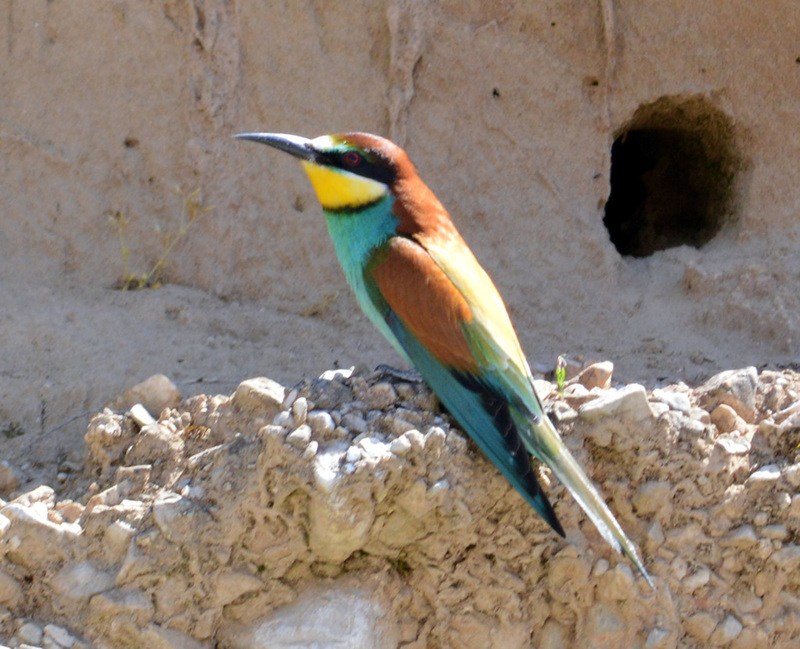 Birdwatchers on Hvar between May and September will encounter beautiful colourful bee-eaters. 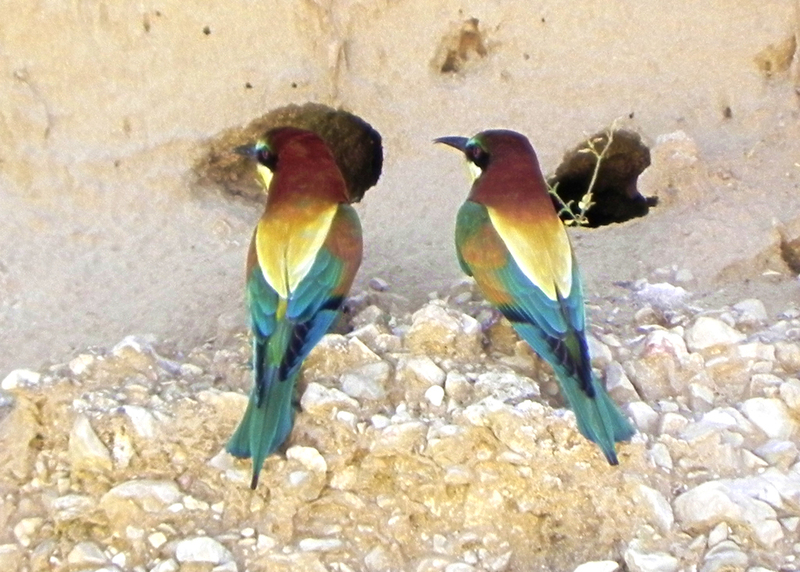 The European Bee-Eater (Merops apiaster) is a gorgeous bird which migrates between tropical Africa and southern Europe. Occasional pairs have tried to breed in Southern England but only five pairs in the last fifty years. On Hvar they can most often be heard before they are seen, and then a large flock will appear with the characteristic sound and very distinctive flight pattern. It is as if the birds would like to glide as much as possible, then flap to gain height, then glide again. We were told about an embankment where hundreds come to roost, incubate their eggs and feed their young till it is time to go back to Africa. Going to take a look, we could hardly believe what we saw. 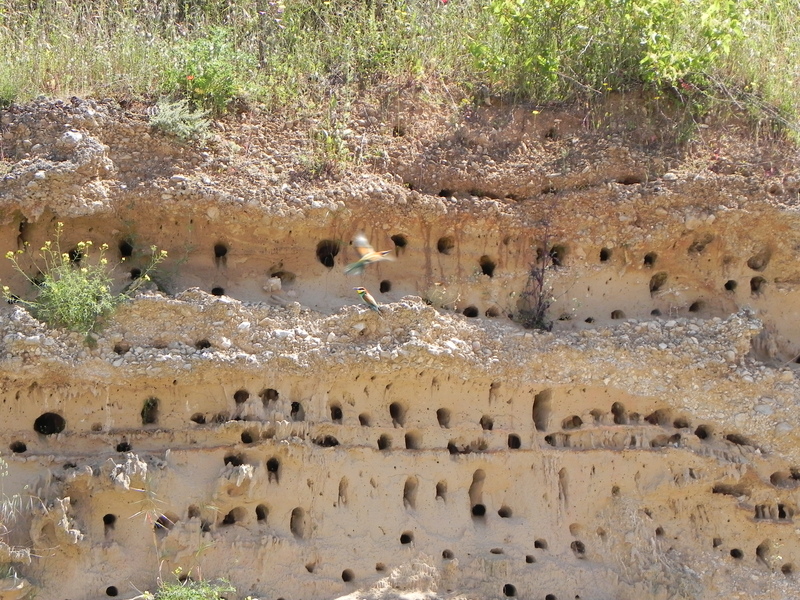 The embankment may have been some 15-20 feet high, and completely covered with burrows. When you think each burrow is som 3-5 feet deep, that is some serious tunneling! This bank must be home to hundreds of pairs. Naturally as soon as we arrived, they were nowhere to be seen. But as we sat peacefully waiting, they started reappearing. 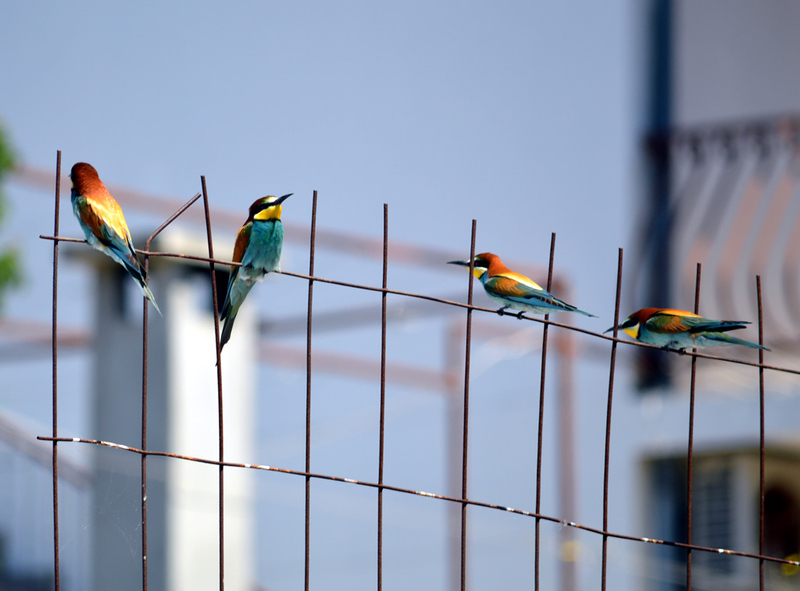 A convenient wire fence was just right to perch on and make sure we were not dangerous. But do they eat bees? Is that a bad thing? Yes they eat bees, wasps, daddy-long-legs, and whatever juicy insect happens to take their fancy. They catch them in mid flight. Sometimes you may see a bee-eater bashing a bug against a branch. That is usually to remove its sting. But bad – no. It is calculated they take less than 1% of any insect population, and their impact on the pollinating insect population is negligible. Lucky bastards we are :-), having the pleasure of discovering these fantastic birds. Seems you did, as well as I did, in the surroundings of Imotski. Do they only eat bees, the answer is no, as they eat whatever flying insect. Nevertheless, nice to meet, pozdravi iz Svinisce, Pim.